With our business establishment in the year 1936, we, Lakhmichand Cooverji & Co., are committed in the manufacturing of an exclusive & unmatched range of Anchor™ Brand Cotton canvas & HDPE Tarpaulins along with offering exceptional and remarkable quality service in providing Erection of Monsoon Sheds that create a long-lasting and trust worthy relationship with all our customers and clients. As a family run organisation spread across four generation, the spirit of our company is inspired by a set of enduring values and beliefs: Quality, Integrity, Passion, Respect & Responsibility. We are guided by everlasting passion and hard work of our Companyâ€™s Partners who possess strong business acumen and hold rich industry experience of over 80 years. This is coupled and met with the efforts of our diligent team of professionals who always play the most pivotal role in the growth of the company over the years. Based on our ethical values & beliefs, our Brand â€˜Anchor™ â€™ is a mark of Quality and Reliability under which our Products and Services are offered to our esteemed clients and customers. We offer ISI Mark HDPE Tarpaulins,Anchor™ Brand Cotton Canvas Tarpaulins, Supreme made Silpaulin Tarpaulins, PVC Tarpaulins, Agricultural Shade Nets and Packaging materials like LDPE Rolls, HDPE Rolls and PP Ropes. Our Core Business strength lies in Erection of Temporary Monsoon Sheds that provide a one-stop-shop solution for storage of replenishing goods, industry equipments and heavy machinery. We take great pride in offering one of the best services in the industry that include activities right from designing, transportation of materials, erection, maintenance and dismantling of the Shed. With unmatched Quality Service & High Customer Satisfaction, our cliental consist of the top companies in all varied industry sectors. This speaks volumes of our commitment to provide the best-in-industry products & services. • To manufacture and supply Premium Quality products to customers and Serve our clients with best-in-industry services. • To create value for our products and services which in turn is recognised as the most preferred Brand. • Create a sense of satisfaction in the minds of our customers and build trust by continuously working on improving our processes. • In an era of rapid change, it is necessary to focus on continual improvement by innovating new and existing products and services by making use of improved technologies and reducing costs. • People :Â Be a great place to work where people are inspired to be the best they can be and achieve a sense of Satisfaction. 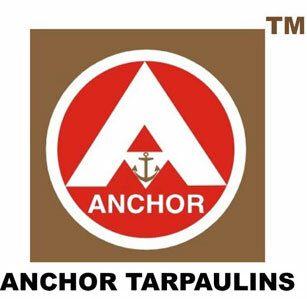 • Portfolio :Â Bring to the world a portfolio of quality Tarpaulins brand - â€œAnchor™ â€�. • Partners :Â Nurture a winning network of customers and suppliers where together, we create mutual and enduring value. • Planet :Â Be a responsible corporate organization that makes a difference by helping build and support sustainable communities. • Profit :Â Maximize long-term return for sustainable growth. We have managed to introduce industry leading quality grades in our product range. Our leading quality grades portray our commitment and dedication towards our clients and our numerous surges. We have established numerous policies and arrangements for preserving our quality edge, as we have devised a team of quality auditors for conducting strict scrutiny over the devised range. Thus each product has to undergo quality-checking paradigm prior to reaching our valuable customers. By Constant Innovation, we have consistently met the needs of our clients and Customers.